The third day of the TdF is nearly over. Today I made my first-ever 100% silk 2-ply yarn. I plied the two chunks of tussah silk sliver I spun on days 1 and 2 together to make this beautiful yarn. I think next I will try my hand at spinning silk hankies. I’m also making good progress on my Greenwood Fiberworks merino top that I’m spinning on my Ashford Traveller. This entry was posted in Spinning and tagged 2-ply handspun yarn, Ashford Traveller, Greenwood Fiberworks, Schacht Ladybug spinning wheel, Tour de Fleece. Bookmark the permalink. I will wind the silk yarn onto the niddy noddy later today and get some idea of the yardage. I hope I have enough to knit something with it just to see how it knits up. 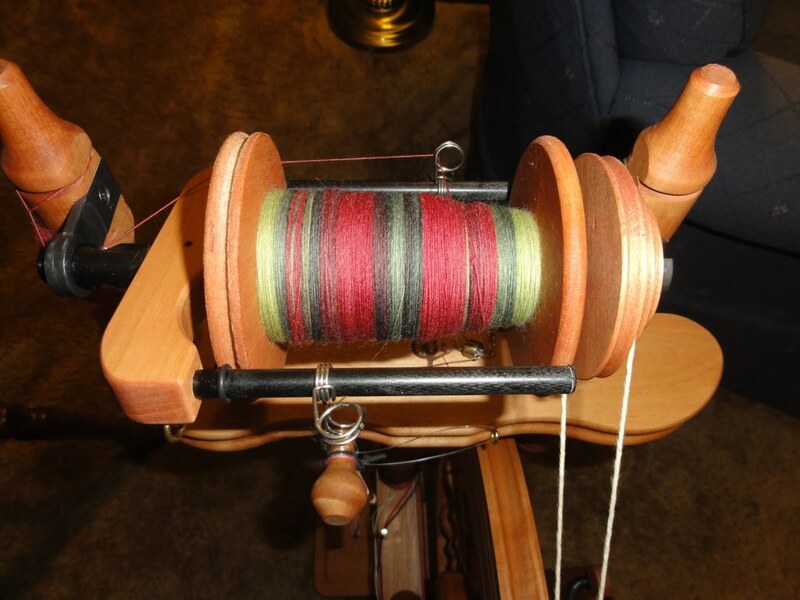 If the yardage is too short, I can combine it with some of the other silk yarn I will be spinning. 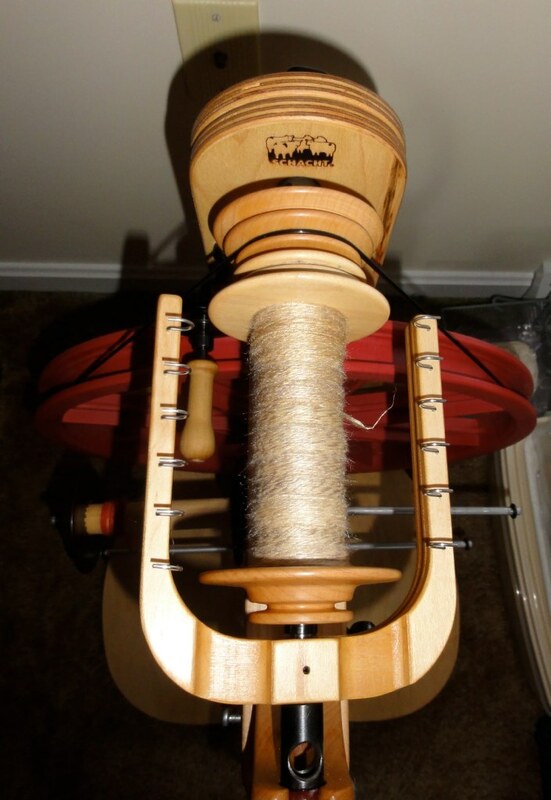 I enjoyed spinning the sliver and I’m looking forward to trying the hankies. The merino is going to be chain plied because I want to preserve the beautiful colors, but I think the holly berry color way would look good barber pole. It’s hard to go wrong when you start with beautifully dyed fiber. Great progress! Love the beautiful merino.